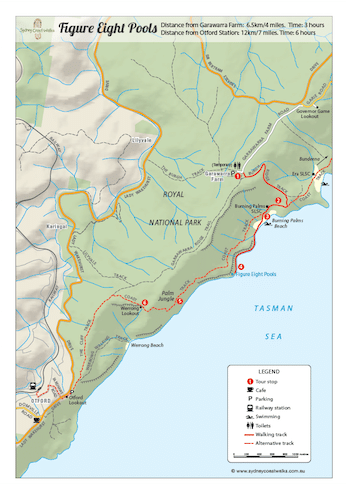 Download the easy-to-read Figure 8 Pools Royal National Park map to your phone, tablet or as a printable PDF. 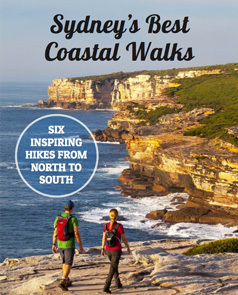 This easy to follow Figure 8 Pools Royal National Park map will show you the quickest way to reach Figure 8 Pools. It also shows you the walk if you're going to Figure 8 Pools by train. Before you even leave home please check the tide! Figure Eight Pools is only accessible at low tide and tides changes daily. For this, and other things you need to know to have a great day at Figure Eight Pools, check out How to Get to Figure 8 Pools. 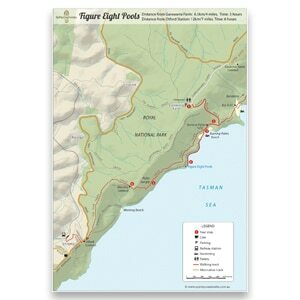 How will I receive my Figure 8 Pools Royal National Park map? There will be a link in the Checkout page to download it once your order is complete. It's a PDF file approx. 4MB in size. You will also receive a link in the Receipt that is emailed to you. How many times can I download my Figure 8 Pools map? You have a maximum of two downloads on this file. Eg. once from our site after checkout and once from the email. Please save this file in a safe place, we will not provide you with another download.